Fit 4 Life West Cumbria aims to reduce the health inequalities in West Cumbria through healthy lifestyle interventions and earlier this year they were awarded £6,265.50 from the Aspatria Community Asset Fund, to run a new Healthy Living Group in Aspatria. 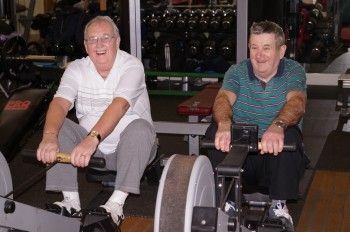 The primary aim of the project is exercise where individuals are referred into Fit 4 Life by a health professional for a programme of exercise under supervision of specially qualified exercise instructors. The group meets once a week to provide exercise classes followed by a social chat with tea and coffee and healthy snacks. The sessions also include healthy eating advice and tips for leading healthier lifestyles.